Recently i watched Angels and Demons and there I came to know of anti-matter. I already knew that anti-matter can be made to act like a bomb, but i didn’t knew that it will be generated in the collisions in CERN’s Large Hadron Collider . So here’s a report on what is Anti-Matter and can it really be produced. Antimatter sounds like the stuff of science fiction, and it is. But it’s also very real. Antimatter is created and annihilated in stars every day. Here on Earth it’s harnessed for medical brain scans. So Share went looking for evidence of some in the Sun, a veritable antimatter factory, leading to new results that provide limited fresh insight into these still-mysterious particles. Simply put, antimatter is a fundamental particle of regular matter with its electrical charge reversed. The common proton has an antimatter counterpart called the antiproton. It has the same mass but an opposite charge. The electron’s counterpart is called a positron. 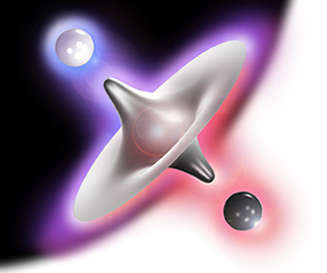 Antimatter particles are created in ultra high-speed collisions. One example is when a high-energy proton in a solar flare collides with carbon, Share explained in an e-mail interview. “It can form a type of nitrogen that has too many protons relative to its number of neutrons.” This makes its nucleus unstable, and a positron is emitted to stabilize the situation. But positrons don’t last long. When they hit an electron, they annihilate and produce energy. “So the cycle is complete, and for this reason there is so little antimatter around at a given time,” Share said. Antimatter, converting all its mass into energy, is the ultimate fuel. However first the antimatter would have to be manufactured – there is no ‘mine’ of antimatter’! Antimatter is difficult to produce – all the antiprotons produced at CERN during one year would supply enough energy to light a 100 watt electric bulb for three seconds! In terms of the energy put in to produce high energy proton beams and store them, the efficiency of the antimatter energy production process would be 0.00000001%. Even the steam engine is millions of times more efficient! In particle physics, antimatter is the extension of the concept of the antiparticle to matter, where antimatter is composed of antiparticles in the same way that normal matter is composed of particles. For example, an antielectron (a positron, an electron with a positive charge) and an antiproton (a proton with a negative charge) could form an antihydrogen atom in the same way that an electron and a proton form a normal matter hydrogen atom. Furthermore, mixing matter and antimatter would lead to the annihilation of both in the same way that mixing antiparticles and particles does, thus giving rise to high-energy photons (gamma rays) or other particle–antiparticle pairs. There is considerable speculation as to why the observable universe is apparently almost entirely matter, whether there exist other places that are almost entirely antimatter instead, and what might be possible if antimatter could be harnessed, but at this time the apparent asymmetry of matter and antimatter in the visible universe is one of the greatest unsolved problems in physics. The process by which this asymmetry between particles and antiparticles developed is called baryogenesis. So when the collision starts it would also produce antimatter but it would not be able to produce a huge amount as displayed in the movie. And actually CERN is already producing anti-matter at their other labs. But as said earlier all antimatter produced in a year is just enough to give 100watts of energy and that could not possibly blow up the planet. We hope CERN LHC would not do accidents and stealing some canister of antimatter would not be that easy as depicted in the movie Angels and Demons. But we have a list of other accidents that happened at LHC over the years. * On 25 October 2005, a technician was killed in the LHC tunnel when a crane load was accidentally dropped. * On 27 March 2007 a cryogenic magnet support broke during a pressure test involving one of the LHC’s inner triplet (focusing quadrupole) magnet assemblies, provided by Fermilab and KEK. No one was injured. Fermilab director Pier Oddone stated “In this case we are dumbfounded that we missed some very simple balance of forces”. This fault had been present in the original design, and remained during four engineering reviews over the following years. Analysis revealed that its design, made as thin as possible for better insulation, was not strong enough to withstand the forces generated during pressure testing. 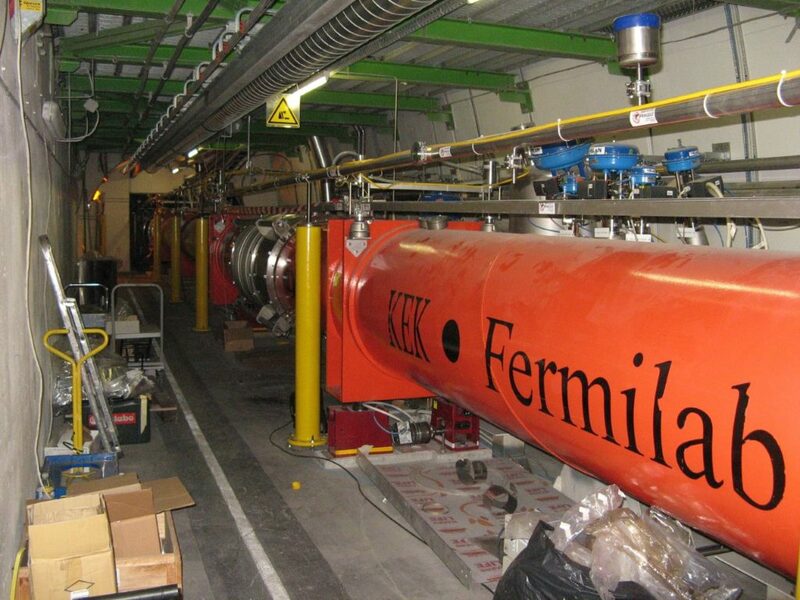 Details are available in a statement from Fermilab, with which CERN is in agreement. Repairing the broken magnet and reinforcing the eight identical assemblies used by LHC delayed the startup date, planned for November 2007. * Problems occurred on 19 September 2008 during powering tests of the main dipole circuit, when an electrical fault in the bus between magnets caused a rupture and a leak of six tonnes of liquid helium. The operation was delayed for several months. 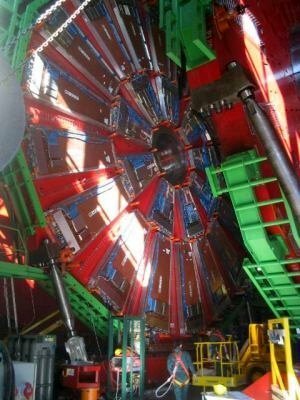 The LHC is expected to be restarted at the end September 2009 with first collisions happening in October. It is currently believed that a faulty electrical connection between two magnets caused an arc, which compromised the liquid-helium containment. Once the cooling layer was broken, the helium flooded the surrounding vacuum layer with sufficient force to break 10-ton magnets from their mountings. The explosion also contaminated the proton tubes with soot. Wow! This is a really most excellent article (sorry the beach-lingo of my youth pops out when I'm excited/impress.) With this article, I am both. In case you are unaware, I am the author of a hotly debated modern retrofitting of the lens through which we view cosmologic/particle-physics data, the Dominium model. I am impressed with the scientific breadth and the lay-friendly accessibility of confusing, yet important, natural phenomena where antimatter is created (fusion and B+ transmutations.) This article is truly the first one I have ever read that does a very good job of demystifying some very tough subjects. Though some achieve power within society by withholding information or by making the simple appear complicated. This ploy is centuries old and generates “power” by making the ignorant masses dependent and servile towards knowledge-keepers. This was the social structure that defined the Dark Ages. The Renaissance correlates to a changing of this viewpoint; and I agree with the new view. Chaining other people to you with induced ignorance and presumed superiority is damaging to scientist/monk. The chains work both ways. Not only do the masses bound by ignorance but so too are those holding the keys. No, true power only comes by releasing information to the people so that they may be empowered, and may work to build up others throughout society. Good job; and keep it up!! For a subject as broad as “antimatter” it is hard to include every possible aspect. It is easy not to include discoveries that are not very widely known. One of the coolest things of 2009 is the press-release publication of the Integral Mission to map the structure of the massive antimatter cloud (MAC) that surrounds the galactic center. ESA and NASA made joint disclosures on Jan 9th of this year. That MAC formation is complete paradoxical to traditional rote, however it was the missing-link for the Dominium model. Come and see why/how.